Being away from your family is tough, which is why we always strive to give you the best UAE tourist visa rates so that you can bring your family here. Now, for one month only, we're going one step further with our partnership with the ENTERTAINER. 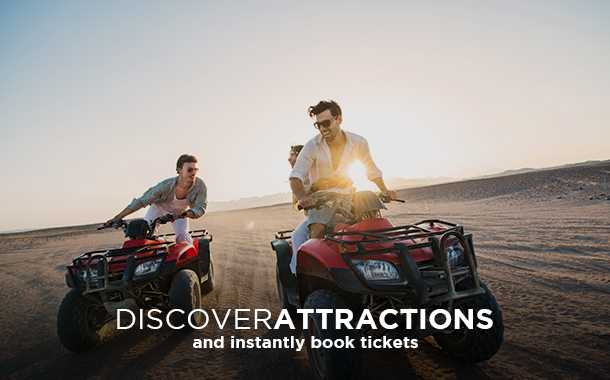 Buy a UAE tourist visa with us and unlock one-month FREE access to MUSAFIR go! Your UAE tourist visa is just a few clicks away. No more queues, no more complicated visa formalities! Get your UAE tourist visa in just 3 - 5 working days. 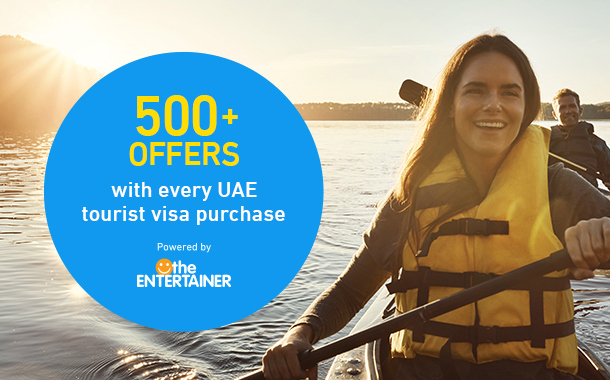 For those of you unwilling to do the math, we're offering up to AED 5,000 in savings with every UAE tourist visa purchase. *Prices listed are inclusive of VAT charges. Additional cash deposit of up to AED 5,000 may be required for certain visitors (not applicable for family visas*). 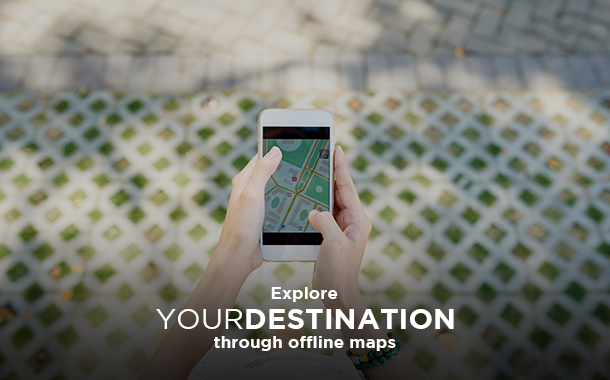 MUSAFIR go is a mobile travel companion powered by THE ENTERTAINER. 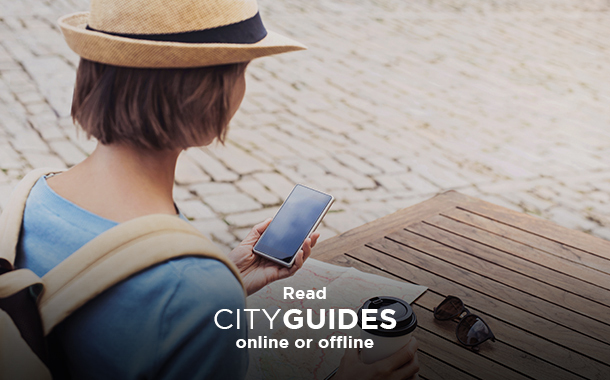 It enhances traveller experience and provides users with stellar must-haves via their app, such as a day planner, city guides, instant booking of over 1.000 attractions and experiences in the UAE, as well as access to vouchers from the best restaurants and spas. Once you purchase a UAE tourist visa from us, you will receive a link via email where you will be able to access the app. Note: you will need to sign in or create an account in order to avail of the product. You can download the App from the Apple App Store, Google Play or Samsung App on your smartphone device. How do I set up an account on the App? After purchasing a visa for the UAE on musafir.com, their stores, counters or from their partners you will receive a link via email. After clicking on the link: - If you already have an account on the App, you will be taken straight to the App, and your offers will be unlocked and ready to use. - If you have not downloaded the MUSAFIR go App, you will be directed to the App store. From there, you will need to download the App, register your details and then the offers will be unlocked. How long are my offers valid for? Once you have clicked on the link and/or registered your App if you haven’t yet got an account, you will have 30 days to redeem your offers. Where are my offers available? You will have access to offers in Dubai and Abu Dhabi. What offers will I have access to? 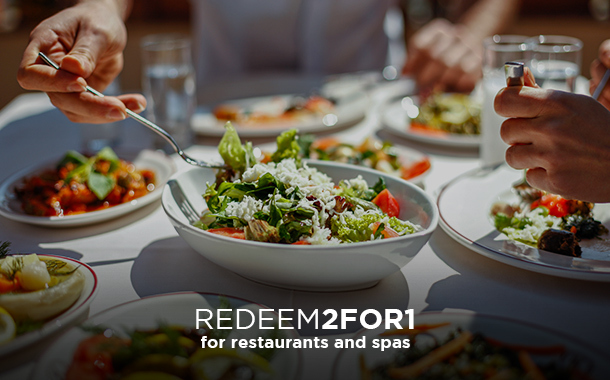 You will also be able to enjoy more than 100 buy one get one free offers for restaurants, spas and salons across Dubai and Abu Dhabi. When the 30 day period has finished, can I have access to more offers? Once the 30 days have finished, your offers will expire. 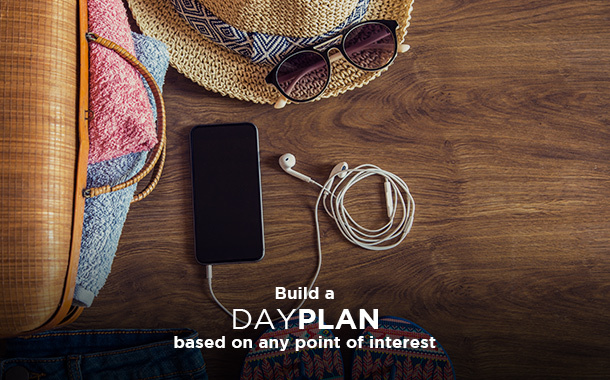 However, in the future, if you receive another link from musafir.com you will be able to activate another 30 days once your primary offers have expired. How many offers can I use in one transaction? For every two people you can use one offer, so if there are four people, you can use two offers. A maximum of four offers can be used per table/bill. When can I apply for UAE visa? You can apply for your UAE visa anywhere between 58 to 5 working days prior to your travel date. Once accepted, visa applications require a minimum of 3 - 5 working days to process and may take longer. If I have a valid Sharjah or Dubai visa, will I be able to travel to the other Emirates? Yes, once you have a valid UAE visa, you can travel anywhere within the country. Organise the required documents and visa application fee, and send the same to our retail outlet for visa processing. We will print and fill the visa application form and prepare additional documents if required. Once ready, the application will be submitted by our team. Applications will only be accepted after the verification of all required documents and receipt of complete payment. Is there an age criteria for applying UAE visa? Yes, there is. Females below 30 years of age and males below 22 years of age need to apply for a UAE visa along with their father, mother or husband to avoid any chances of rejection. If I have a valid Sharjah or UAE visa, will I be able to travel to the other Emirates? Yes, you can travel anywhere within the country with a valid UAE visa. How will I receive my UAE visa? Your UAE visa will be sent to the email address provided at the start of the application process. Is the visa application fee refundable on rejection of the visa application? No, the visa application fee is non-refundable in all cases.